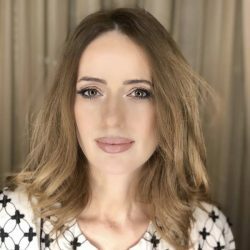 Former General Manager of Consulco Romania, a Branch of Consulco Capital Ltd London, with 10y+ experience in Business Development, Sales and Marketing and previous Business Development Director for Management Recruitment International (MRI) – inside Consulco Group, Master Franchise for Romania. Madi has extensive international experience on establishing start-up businesses in London (3y) and Athens (1y) where she set up Consulco branches as well as recruited and trained the personnel. She attended training courses for business orientation change and started to work in the asset management sector on prime locations both on commercial and residential. She spent the last 4 years in Latin America (Santiago-Chile), where together with her husband (former CEO of Enel in Romania), starded a project on restoration and implemented it in Romania – Pane Pomodoro. Together they opened a chain of Authentic Neapolitan Pizzerias inside Mega Image concept stores – a Belgium / Dutch Multinational present in the US, Indonesia, Belgium, Holland, Greece, Serbia, having received the title of Ambassadors of the Neapolitan Pizzas and accredited by the Italian Academy of Pizza Makers.